May you enjoy your time with us; we are here to assist your progress in our time-honoured martial art from the "birth place" of traditional Karate Do Okinawa. We sincerely believe in teaching with integrity, respect and believe that positive results indeed can be achieved through trust, mutual understanding and most importantly "enthusiasm". 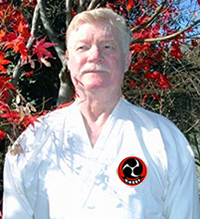 O'Connor Hanshi – 10th Dan Principal Instructor.